Dubai: Swing traders were aggressively buying banking shares in the UAE for a second day on Monday as the government decided to consolidate debts that its citizens owed to the government. Traded value on the Dubai Financial Market (DFM) jumped to Dh355 million due to buying in banks from a paltry Dh80 million in the previous session. 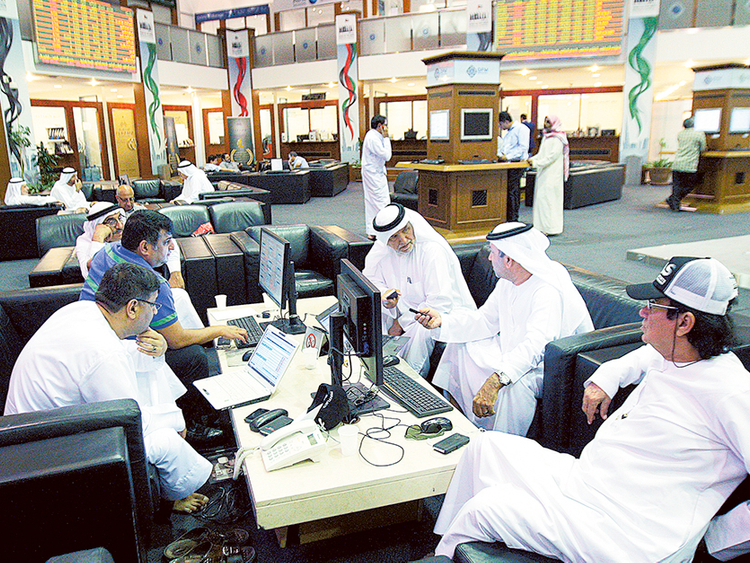 Traded value on Abu Dhabi Securities Exchange general index was at Dh208 million. “Today’s move in the UAE banking sector is to some extent attributed to the Central Bank program called ‘National Loans Scheme’, which aims to ease the burden of debt accumulation for UAE nationals,” Vrajesh Bhandari, senior portfolio manager at Al Mal Capital. The UAE government decided on Sunday to consolidate debt due from its citizen, with instalments not exceeding 50 per cent of their salary and 30 per cent of the pension for the retired. The interest rates will be capped to the three-month Emirates Interbank Offered Rate (EIBOR). 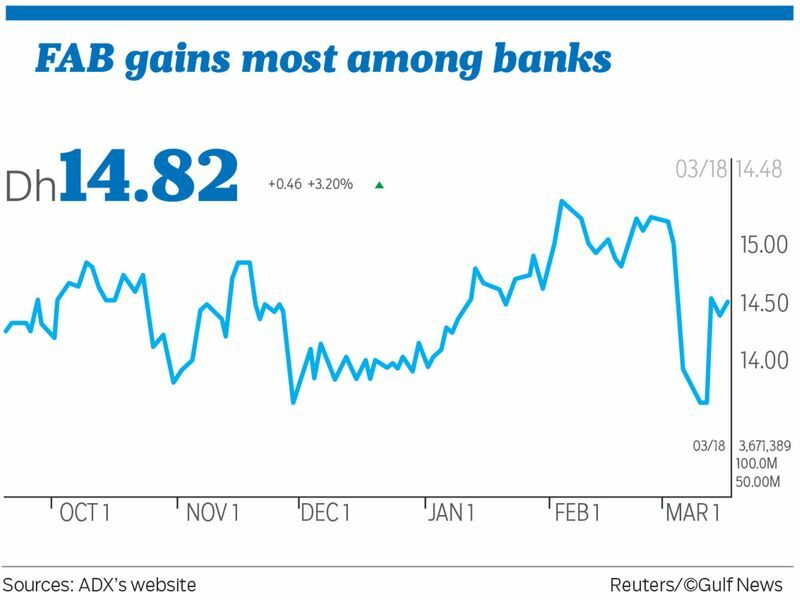 First Abu Dhabi Bank closed 3.20 per cent higher at Dh14.82 and was the most active stock in trade. Traded volume was at 3.6 million shares, 17 per cent higher than the 30-day average of 3.01 million shares. Abu Dhabi Islamic Bank closed 2.95 per cent higher at Dh4.53. Dubai Islamic Bank closed 3.15 per cent higher at Dh4.91. Emirates NBD closed 0.5 per cent higher at Dh9.75. “Though in the short term there could be some pressure, over time this creates a healthy credit environment and more opportunities for banking. To be noted that valuation multiples for these banks have been rather attractive to begin with, along with nice dividend yields,” Bhandari said. The Dubai Financial Market general index closed 1.63 per cent higher at 2,619.82, while the Abu Dhabi Securities Exchange general index ended 1.8 per cent higher at 5,066.74. Elsewhere in the Gulf, Saudi Tadawul index witnessed buying in final hour of trade as the gauge joined the FTSE emerging market index. The Tadawul index closed 1 per cent higher at 8,653.16. “In Saudi Arabia, interesting to see how the first phase of FTSE inclusion is playing out. We expect large caps to maintain their upward trend,” Bhandari added.